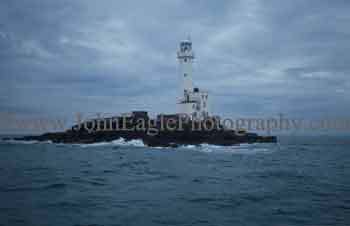 Artist, Pamela Griffith and Professor Ross Griffith’s trip to see the lighthouses of the East Coast of Ireland. 2013. 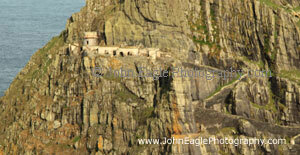 On Sunday May 5, 2013 my husband and I began a lighthouse tour with photographer John Eagle, along the Irish East Coast. Accompanying us was Judy Weeks and Keith Morton from England, and Hendrik Schilpzand from the Netherlands. They were a well-informed bunch of people who greatly added to the joy of the trip. I am the great, great, great grand-daughter of George Halpin Senior (1779-1854). 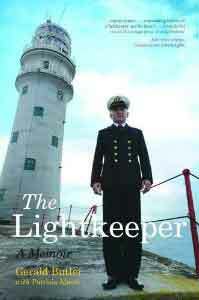 I had been looking forward to visiting Ireland all my life as my grandfather, George Halpin of Sydney NSW, had told me many stories of his family who were lighthouse builders. He was born a few days after his family arrived as settlers in Australia and he never visited his homeland. Such was the pride and memories of Ireland, handed down to him from his father, also called George, that he stirred my imagination and I felt that some day I should make the journey for him and for my own pleasure. and Fastnet (1854). He effectively rebuilt the Poolbeg lighthouse (1819-20). Under his direction the Ballay Ist Board established an effective management structure for the design construction, and maintenance of the Lighthouse Service: initiated a vital program of inspection, and regularized the employment of construction and quarry personnel, lighthouse keepers, tenders, tender crews, and stores personnel. Gradually during the early nineteenth century a proper marine aids to navigation infrastructure was put in place. We visited the National Maritime Museum of Ireland in the Mariner’s Church in Dún Laoghaire. Whilst the building is fantastic it is not big enough to display the collection. The Baily Optic is on display and was saved from the Baily lighthouse in Howth, North Dublin. I saw the display that they have set up about the Great Eastern and the laying of telecommunication cables. Its commander was Captain Robert Halpin, a nephew of George Halpin Senior, and a relative of mine. Recently his sword was used by the Prime Minister to cut the ribbon when the new museum was opened, I was moved to see his naval uniform and sea chest. Robert Halpin built Tinakilly House, Wicklow. After the lighthouse tour my husband and I stayed in this house that is now a hotel and we visited the many points of interest in the town that were part of the Robert Halpin self guided trail.